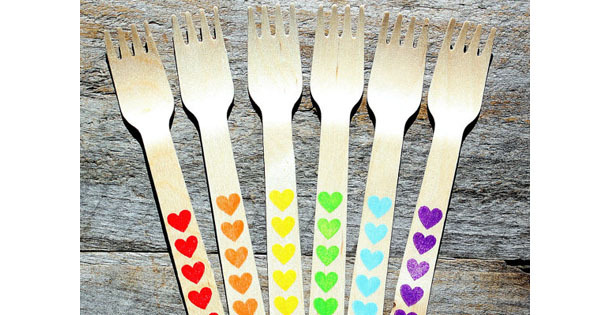 Share the love and party in style with these sweet wooden heart-stamped party forks. Set of 18. $13 from The Bakers Confections.